Before reserving a car on DublinHire.com and a getting the best and the cheapest deal, we want you to be fully informed about what expenditures you’re going to have. First thing you see is car’s rental price without any extras you might need. In the top right corner you see the price per day and under that you see the total price for the whole time of booking. What does your price usually include? You DON’T have to pay for that additionally! But, in any case, you have to read rental conditions attentively, because some offers may not include road tax, for example. When you rent in Dublin, companies include unlimited mileage only, and airport fee is almost always included. The cost of the car itself depends on: car type, brand, size of the vehicle, its features etc. But, on DublinHire.com there are plenty of offers with special discounts! Dooley, Avis, and Sixt allow hiring a car and driving if you’re under 25 by paying a young driver’s surcharge. Don’t forget to add it to your total expenses if you’re less than 25 years old and got a car from the mentioned providers. Each company has its own age requirements for drivers, so read this part of Rental Conditions attentively. And here you are, you’ve chosen your car and it’s time for you to fill out the form for drivers. There you have to fill in the data on your credit card, by which you will pay for the rent. Only credit cards are acceptable for payment! When you want to complement your booking and add extras, consider their prices (they are listed on “Rental Conditions” section under each offer). There is also a possibility for you to pay maximum charge per rental. For instance, you get a car hire in Dublin city centre or anywhere else for a long period of time, you can pay a maximum charge for baby car seats or GPS and use it even longer and save a considerable amount of money! The majority of providers accept these cards: MasterCard, Visa, Diners Club, and American Express. And, when you book you need to know that a deposit amount (starting from €50) will be held against your card or cards. You need two credit cards if you rent a luxurious car, for instance. Cards must be on the main driver’s name. When you book a vehicle, make sure that you’ve got enough limits on your bank account to cover all the claimed car hire expenses and the excess. In most cases insurance units have the excess of €1200 or higher, but sometimes the excess might be even ZERO (like a bonus)! Also, don’t miss one more important detail about the cancellation policy: $57 as an administration fee for booking cancellation within 24 hours before picking up time will apply. But, if you cancel your reservation until 24 hours before the time your get your vehicle, it’s free! You don’t have to pay for it! It’s FREE! Car rental and travel expenses – What else? 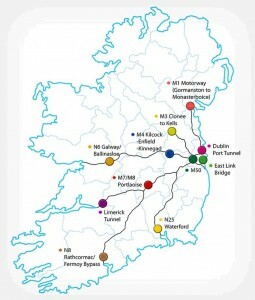 When you travel across Dublin and Ireland generally, you have to remember about toll roads and parking charges. Prepare some money for toll road if you intend to drive along them, charges vary from €1.90 to €3.40. 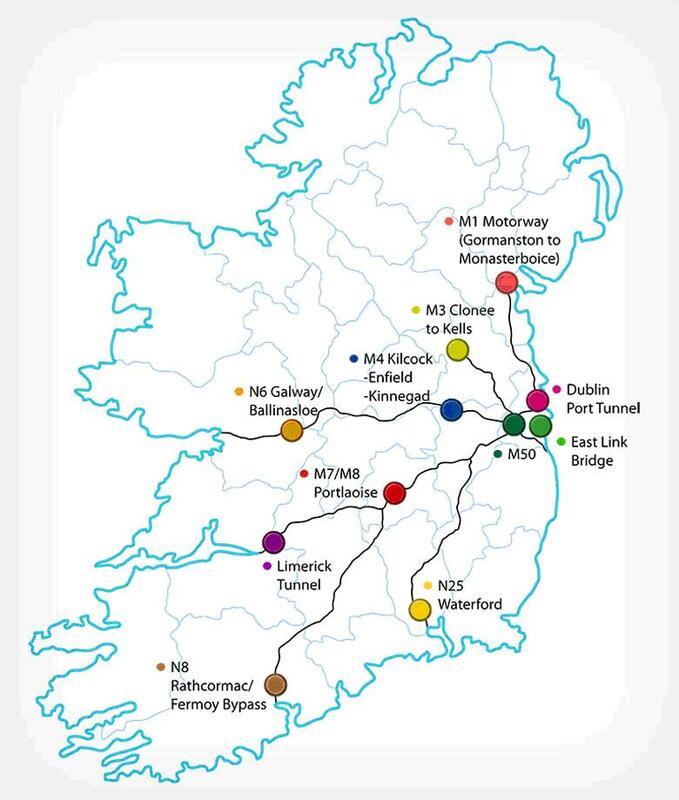 If you drive along the Dublin Tunnel you have to pay from €3.00 to €10.00. In any case you’ll see road sign, which marks the beginning of the toll road. Parking charges also vary from 0.60c to €2.90 per hour. In some cases parking is free and in some areas it’s banned. Read more here: Parking in Dublin, Ireland. If you intend to cross the border and drop the car off in Northern Ireland, additional charges may apply. Print out the voucher to confirm your reservation and, also, you need to present it on arrival to the car hire agent. We wish you foreseen cost and unforeseen pleasant experiences!